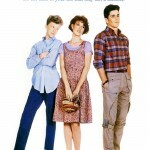 My friend Amanda as Anthony Michael Hall as Farmer Ted (or “The Geek” as he is credited) from the film Sixteen Candles. I was Madonna that year and felt kind of put to shame by Amanda’s awesomeness. I mean, who didn’t love/hate/have a major soft spot for that character? 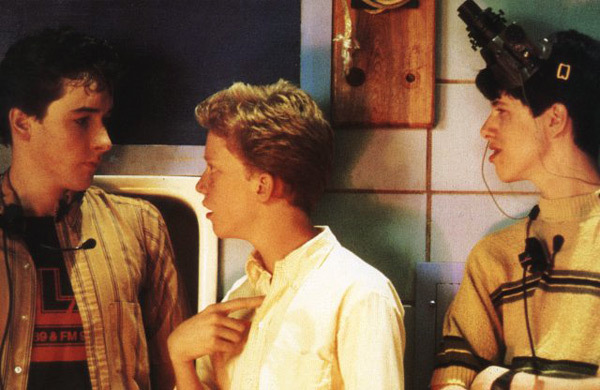 So annoying, so painfully geeky, so the leader of his nerd herd. 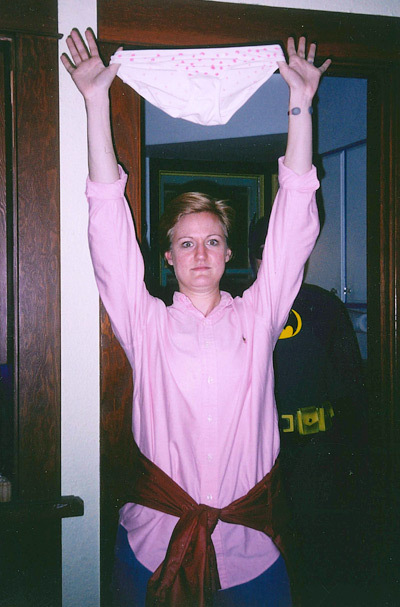 And of course, you need one very important prop – a pair of undies – which, like Amanda did, you will walk around the party holding above your head. At your party, be prepared to stop whatever you are doing for people to come over and ask you to do this pose repeatedly. If you want to make some money, you could charge people a buck to come into the bathroom to take a peek at them. 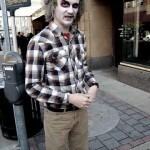 So there you go, easiest Halloween costume EVER. If you add the braces you’ll be a genius. And if you carry a pack of Certs in the front pocket of your jeans, in my eyes you are a super genius.